PATIENT HISTORY: This was a premature baby who died 12 hours after birth and showed the typical features of achondroplasia. The cost-chondral junctions of the ribs are situated further laterally than normal and all show a striking swelling, particularly obvious on the inner aspect of the thoracic cage. The long bones of the limbs are very short, slightly curved and show prominent bulbous "collar stud" swellings of their epiphyseal extremities. This is seen in both the longitudinal section of the femur and tibia on the left and the intact femur and tibia on the right side of the specimen. Skeletal dyplasias, also called osteochondrodysplasias, are a group of disorders where there are abnormalities in the development, growth and maintenance of bone and cartilage. Achondroplasia is the commonest form of dwarfism. The average adult height of men and women is 1.2 m (4 ft). People with this condition are of normal intelligence and most live a full life span. They have a normal trunk length but their limbs are rhizomelically shortened, i.e. the proximal segment of the limbs, humerus and femur, are disproportionately shortened. Other characteristic are trident hands, lumbar kyphosis, tibial bowing, a bulging forehead and a depression at the base of the nose. Many characteristic features are seen on x-ray. Orthopaedic, respiratory and neurologic complications can occur. Achondroplasia is caused by a mutation in the fibroblast growth factor receptor 3 (FGFR3) gene, which is involved in the regulation of bone growth. There is a failure in endochondral ossification which is important in the foetal development of the long bones, and their subsequent elongation. Extensive irregular proliferation of cartilage cells results in the formation of nodular bulky epiphyses. About 80% of cases of achondroplasia arise due to a new mutation in the gene, and therefore in the absence of a family history. There is an association with older fathers and almost all mutations are found in the paternal allele of the gene. Achondroplastics themselves will transmit the gene defect in an autosomal dominant fashion. (50% of offspring affected.) 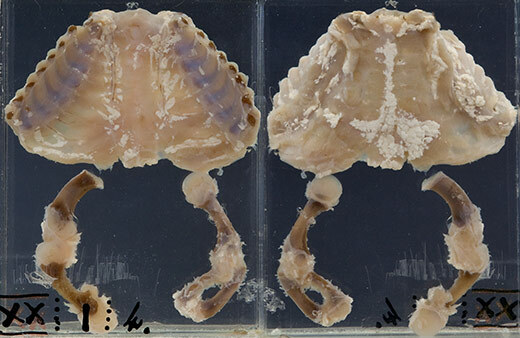 If both parents are achondroplastics and the foetus is homozygous for the mutant gene, it usually dies in utero. Michael C. Ain, M.D. Associate Professor, Johns Hopkins Department of Orthopaedic Surgery (Professor Ain kindly gave permission to use this photograph). The condition can be detected in utero on ultrasound. A multi-disciplinary team is needed to optimally care for children and adults with achondroplasia. 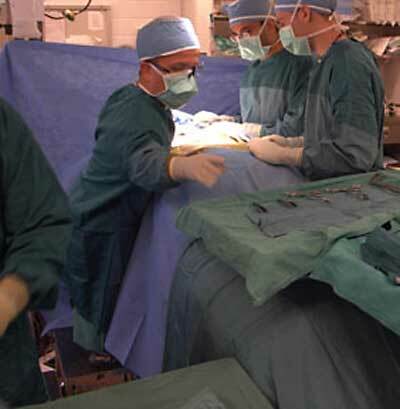 Surgery may be necessary to correct problems such as stenosis of the spinal cord or kyphosis. 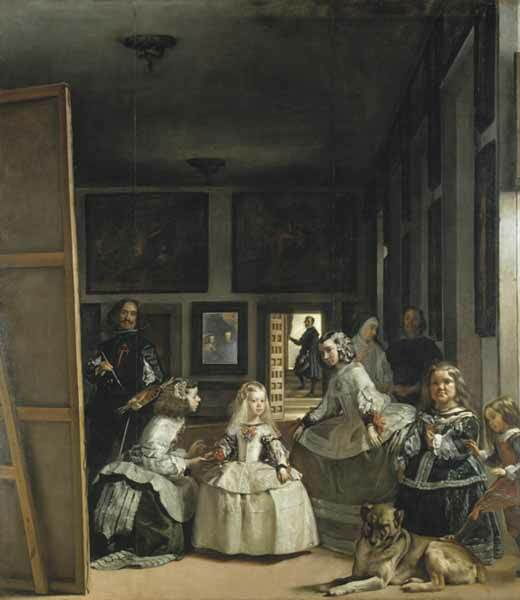 In this painting by the Spanish artist Diego Velazquez, the princess Margarita is 5 years old. To her left are two dwarves in the court entourage, the achondroplastic Maria Barbola and Nicolas Pertusato.